The natural surroundings are at once diverse and awe-inspiring – and lovers of the outdoors are spoilt for choice with a host of activities. Hermanus is synonymous with land-based whale watching, and guests of The Marine can enjoy this pastime from the comfort of their own suites, or on a cliff walk in front of the hotel. Feeling a bit more adventurous? Then take to the seas, with kayaking or boat tours that will take you right up close to the southern right whales. Alternatively get a bird’s-eye view of the gentle giants with a scenic flight over Walker Bay. The southern right whale makes up part of the Marine Big 5! The rich waters of Walker Bay teem with marine life, and a visit to The Marine means you can tick off the Big 5 during your stay. Spy dolphins and seals frolicking in the water, go cage-diving to see great white sharks, and see the African penguin in its natural habitat with a tour at Stony Point. 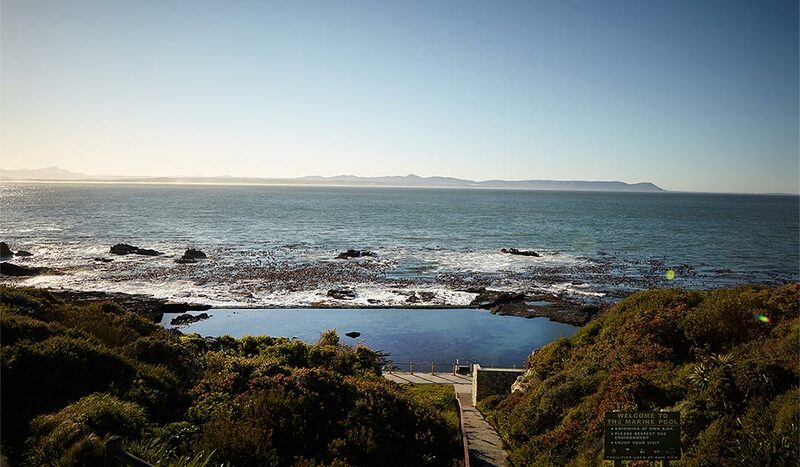 Just below The Marine is Hermanus’ iconic marine tidal pool. To access the seawater pool, simply walk down from the cliff path onto steps leading directly to it. Offering fresh, bracing ocean water packed with micronutrients, as well as mesmerising views, it’s an experience the whole family can enjoy. The beaches of Hermanus are white-sand playgrounds for avid swimmers, surfers and sunbathers. There are a variety of inlets and coves, as well as secluded beaches against coastal cliffs; a must-visit is Grotto Beach, which has Blue Flag status. Traveller’s tip: There are also trails for horse riding on certain beaches, as well as within the area’s vineyards and orchards. No trip to Hermanus is complete without a visit to Fernkloof Nature Reserve, unique in that it is the only such reserve with both coastal and mountain fynbos – and it has the most species in close proximity. Botanists and flower enthusiasts travel from far and wide to experience the magic of this place, and locals delight in the diverse beauty of their ‘backyard’. Fernkloof is also popular with picnickers and hikers. Do you relish the opportunity to practise your swing while on holiday? 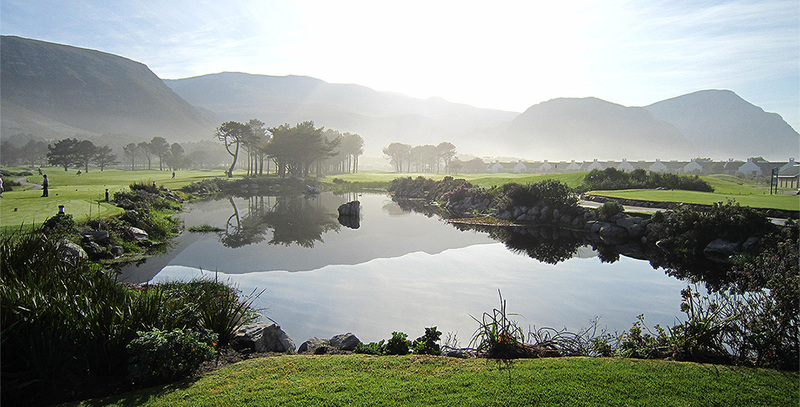 Hermanus has an easily accessible golf course, in the most scenic of settings, and there are other courses in the area to explore. The Overberg region is a birder’s paradise, too, offering twitchers the opportunity to identify endemic bird species in fynbos, coastal and wheat field habitats.